My journey to become a reader of Historical Fiction is one that started firmly rooted in Fantasy. My early reading of series such as Narnia (The Lion, The Witch and the Wardrobe etc.) began my exploits in all things magical, before I entered the teenage wasteland and stopped reading for a few years, wasted years now from a reading perspective, but enjoyable ones none the less. When I became a single parent aged 19 I found myself with time, more time than I wanted, my days were taken running from here to there with all the tasks that small babies create. But evenings could have become couch potato TV heaven. Instead I turned back to the library. Here I found a new set of friends, David Gemmell, Tad Williams, Julian May and many others. Within a space of months I found myself with a lack of new reading, I had read everything that appealed to me in fantasy and didn’t have anyone to point me in the direction of anything new, I found that the reading had made me more inquisitive, had driven a desire to need and know more. I started to deconstruct what was behind the stories. I would re-read Gemmell, mainly because books like Lion of Macedon were lighting a new fire, one that the school syllabus had done its best to quell, History! At school we didn’t do the Romans, or the Greeks, we didn’t learn British history, our civil war period etc. It was very much Industrial revolution and political history, the thought of the spinning jenny still gives me shudders. All the things designed to put young kids off, to not capture those young minds and set them aflame with a thirst for more. But writers like Gemmell, even in a fantasy environment made me stop and think; The drenai faced the Nadir, were these based on anyone? Clearly the Nadir were the Mongol hordes, did Gemmell depict any accuracy or was it all fantasy? When I spent time checking I found the other nations represented, most nations of the world existed in this world, Swirling Arabs, the Scots and so many more. 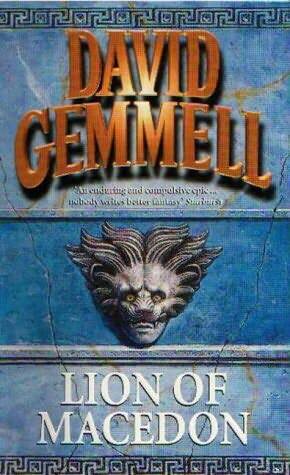 Then there was Gemmell’s Lion of Macedon, originally written as Historical Fiction, but changed to fantasy because from a publicity angle it could not be released under the Gemmell name, but again it made me want to know more about Alexander the Great and his generals. So I started looking for Historical fiction, something that would grab me, as yet I didn’t know what but I knew I wasn’t ready for the world of Non-fiction, and reading for the sake of self-learning. I also joined Simon and Conn’s web site forums, it was wonderful, the ability to converse with the authors to learn about the books, the characters and what led to their inspiration. It pushed my hunger for more books. I had also by this point been selling collectible books for a few years and started to learn the power of social media, word of mouth advertising, gaining a group of like-minded readers. I wanted more books from these writers, but to get more books they had to sell more books. So by creating demand I was feeding my habit. From these authors I found many others, writers they enjoyed, ones who inspired them, readers with similar tastes, people who gave a monkeys if I liked a book based on previous recommendations. I finally found a decent telling of the 300 with Stephen Pressfield, the history literally dripped from the pages. All the time, every book improving my understanding of the classical world, but also improving my deeper knowledge, my word base and understanding of politics, weapons, fighting skills, ships, seamanship, armies and so much more. Mainly it increased my knowledge of the genre, the authors, the books to recommend and the people who wanted to hear about new books. The online world of Historical Fiction led me to many new authors, Ben Kane, Giles Kristian, Simon Turney, Tony Riches, Paul Collard and many others. The most surprising thing of all with these new authors was that they were all fans as much as writers, we all shared a love of the subject matter and while I am not a member of the writers fraternity but I had my place, I could help them reach a wider audience at the same time as enjoying their work. The relationship between the reader, reviewer and writer is somewhat symbiotic. I’m lucky enough that now I get to call many of these writers my friends. I thought for a time that this was as much enjoyment as I could wring from books, but then I found new joys, I was asked to test read a few books, to help shape them, to point out any mistakes or continuity errors that existed (at least the ones I could spot). This was a great experience to be part or the writing process, and in a few cases to be in the book as a character (the unexpected rewards for the work are ones that really put a smile on my face), Then the next step on from that to be asked to feedback on how the interplay of characters works, or doesn’t, if the positioning of segments of the plot works, if characters feel real etc. to really help shape a book. This was the greatest compliment of all and the next best thing to being able to finish my own story. Every time I’m asked to do this it’s a humbling experience, I know when I’m writing I hold onto the work, I’m not sure if I can release it for criticism and if I did it would be to someone I trusted, it’s that that goes through my head when I’m asked, and drives my desire to always do my best, and hope I have given enough from my amateur background, I have lately asked if I can see the feedback from the professional editors so I can see what I missed, what I might have fed back better/ clearer, there is still so much to learn. I think if I had my time again I would have loved to go into publishing. Now instead of having to ask to review a book and hope I am lucky enough to get a copy suddenly I am being asked to review books, it is still a humbling experience, and one I take seriously, I don’t work for the publishers, my view and opinion doesn’t shape if I will get sent a book to review, the publisher respects (I hope) that I put the effort in and that I have a sizable amount of people who seem to read similar books and so take my review as a lead to buy a book (or not), yet I cannot bring myself to write a review slating a book, knowing how long it takes an author to write and research a book I have always thought that my personal taste should not mean a potential loss of sales due to a bad review. My lack of review may speak loudly, but at least people can make their own minds up. I want to lead people to great books, my job isn’t to warn them away from books. This I think is the difference between a reviewer and a critic. 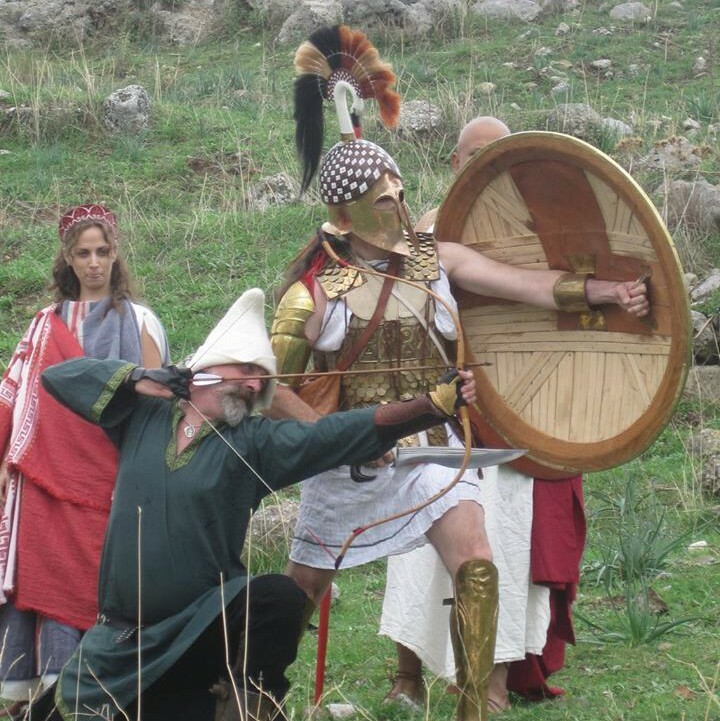 I find these days that I want to be more informed in my reviews and reading, and this has led to a new evolution, into the re-enactment circles. I have not joined a group as yet, I hang at the fringes (mainly because time is limited) but the amount to learn from the great minds in this arena is significant. One major source is Christian Cameron’s Hippeis Online Agora. Not only is Christian my favourite author, but also probably the smartest man I know. He attracts people who want to challenge the preconceived notions of history and do so by trying to recreate them, to learn by doing. It’s a fascinating process to watch and one I dearly want to be involved in, and to this end I’m taking up archery this year, thanks to another member of the Agora, Chris Verwijmeren, a fantastically knowledgeable and giving chap, he has found me a bow and made me some arrows, (I know made, amazing isn’t it!! ) and I know will be there to support me as I learn (my beginners course starts in April), this appears to be the way things are with Re-enactors, the need and desire to share ideas and information, to learn to adapt, to try and do things to see if they do work, to share a theory to see if they can prove it. They build from diagrams, from murals, from carvings, anything that might give a clue to form and function. All of this gets fed into books written by people like Christian Cameron , David Gibbins, Simon Turney, Ben Kane, Anthony Riches and so many others, it’s what makes these books so real, and the experience so tangible. All of this means for me (I hope) a bright future, a future of great books across both Genres (well at least 3 …did i mention how authors like David Gibbins, a Marine archaeologist who is bringing real history, research and exploration into Thriller novels. Seriously read his books they are excellent.) For those who love books remember to be involved, leave a review, come along and read the blogs, visit the author web sites and forums. There is so much out there, and links to so many groups events and educational pieces. So… sorry for the huge brain dump, but Christian freaked me out when he asked me to do a guest blog, and I wasn’t sure what to write about. In the end I chose what I love, books, and why I got involved. I’m still working on my great idea, I hope one day to have my name on the cover as an author. For now I will love the cover quotes and being a character in some great books (ps… anyone who wants to make me a character, please do, I love it…I don’t mind a little dying 😉 [CGC here — OK, Robin, you asked for it. Traitorson 4 ‘Plague of Swords’ and you will be a character…] and if you are new to this then reach out to someone for help. I know I love to help debut authors, there are many others out there in the different genres who want to help. It’s an amazingly supportive world, where authors/ experts work to help each other, its not a competition for shelf space. Parm lives and works in the UK. He runs a really good blog that is also a clearing house for new and excellent HisFic and sometimes fantasy titles. I sometimes think that without him, no one int he world would ever have read any of my books. 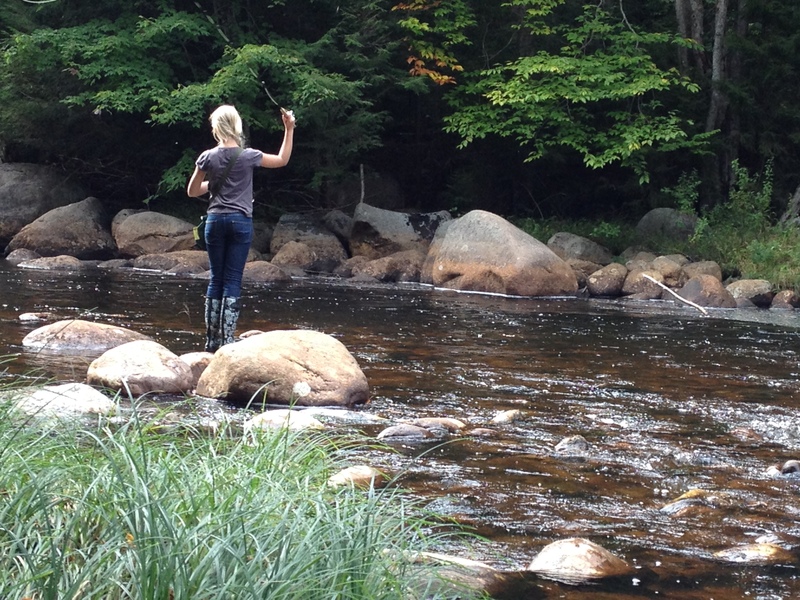 By the way, as you read this, I’m fishing with my dad in the Adirondacks. Or perhaps tying flies with my daughter. Feel odd re blogging this…. but if it makes you come and read Christians other stuff… then all good. Thank you for asking me to do this Chris, scary, humbling… and also made me do something new. 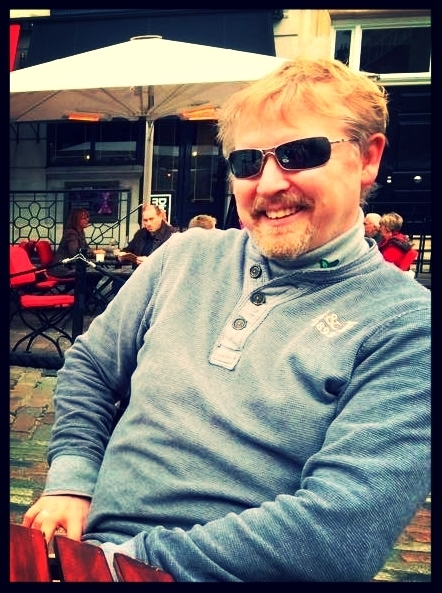 A super interview from one of the freshest reviewers on the online book scene currently – the progression from a youthful fantasy reader to a professional reviewer and beta-reader.